Paper Lantern Press began as a creative collaboration between two friends who share a deep appreciation for the art of correspondence, its content and form. 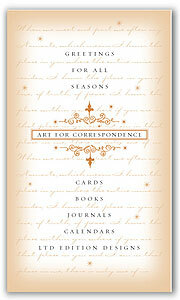 Paper Lantern Press is a unique company that designs and manufactures a very different look in original art greeting cards and fine paper journals. 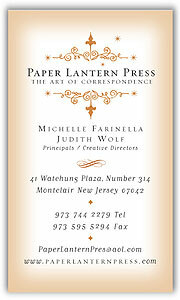 Paper Lantern Press is committed to providing a creative and pleasing form for your personal and shared thoughts, feelings, sentiments, and acknowledgements.